I just finished a battalion of French using the AB Figures range. Though these are some of the oldeest figures in the range, they still beat most 28s produced now for proportion and detail. If you would like to commission a command stand, an elite unit or a diorama in smaller scales, please contact me here: expressminiatures@gmail.com. Always love using a mounted leader on the command stand. "Though these are some of the oldeest figures in the range, they still beat most 28s produced now for proportion and detail." How much do you charge for a unit commission? 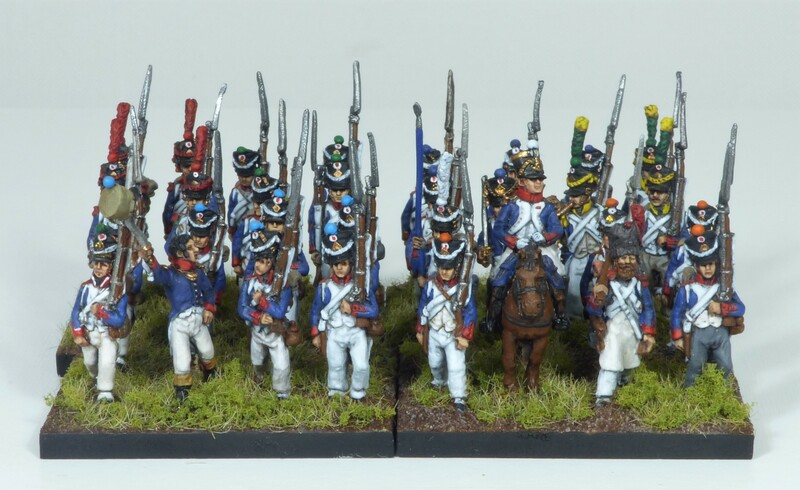 I need to paint some Guard Chasseurs a Cheval but I reckon you'd do a better job…. Thank you for your kind comments. Very much appreciated and I'm glad I could provide some inspiration! @ferg981. All mounted figures are priced at £10.00 GBP Please feel free to get in touch and we work out how to best tackle your project.